A Rohingya woman has died after suffocating in a truck packed with migrants from the Myanmar Muslim minority group as they travelled through southern Thailand, police say. Authorities found five open-bodied delivery trucks carrying nearly 100 Rohingya - mostly aged under 18 - before dawn on Sunday in the Hua Sai district of Nakhon Si Thammarat province on the Gulf of Thailand. "There were a total of 98 Rohingya. Of them, one woman aged around 20 years old died from suffocation while travelling," provincial police commander Kiattipong Khawsamang said. "The truck was crowded and she also had not eaten." The group was travelling from Phang Nga province on the western seaboard and 68 of them were under 18, according to the commander. A second police officer said the children were aged between two and 13. Their exact ages were not immediately available. Police said two of the truck drivers have been arrested on suspicion of people-trafficking. Thai authorities will now process the group to establish whether they were being trafficked by smugglers through Thailand. Authorities have in recent weeks discovered scores of other migrants who fled dire conditions in Myanmar, taking advantage of the slightly calmer winter waters in the Andaman Sea to head south. On January 5 police detained 53 migrants from Myanmar - the majority of them Rohingya - in Phang Nga province, a hub for boatpeople being transported through Thailand to mainly Muslim Malaysia. 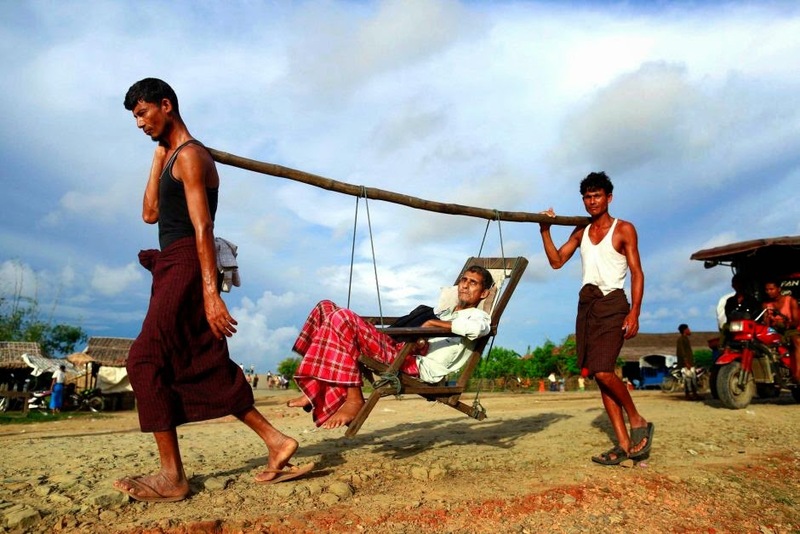 Thousands of Rohingya have fled deadly communal unrest in Myanmar's Rakhine state since 2012. Myanmar views its population of roughly 800,000 Rohingya - described by the United Nations as one of the world's most persecuted minorities - as illegal Bangladeshi immigrants and denies them citizenship. Rights groups say the stateless migrants often fall into the hands of people-traffickers. They have also criticised Thailand in the past for pushing boatloads of Rohingya entering Thai waters back out to sea and for holding migrants in overcrowded facilities. In June the United States dumped Thailand to the bottom of its list, or to "Tier 3", of countries accused of failing to tackle modern-day slavery. The ruling junta says it has since taken significant steps to combat trafficking and the exploitation of migrants. At a press conference about trafficking in Bangkok on Monday, deputy foreign minister Don Pramudwinai laid out new regulations including a ban on workers under 18 in the fishing industry.